Yesterday I told you about the unfortunate incident concerning my old Pasha watch at The Peninsula Hotel in Beverly Hills. While it was a heavy loss, I can’t hold it against the beautiful hotel, which easily takes the cake as of one of the nicest places I’ve stayed in—especially because of its pool. 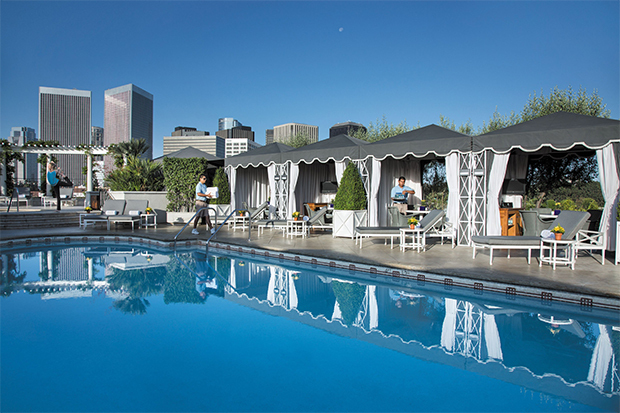 Surrounded by a serene rooftop garden and chic poolside cabanas, the outdoor pool overlooks the scenic landscape of Beverly Hills and Century City, and is the best place to find some exercise—or even just alone time—in the sun. Photo courtesy of The Peninsula Hotel.